NEUSPEED Apparel - Polo Shirt UNIVERSAL - Lightning Motorsports - Selling Speed since 1996 ! 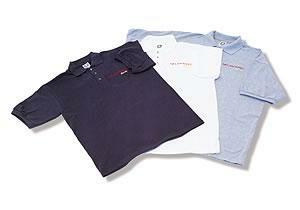 NEUSPEED Polos combine the highest quality with maximum comfort and breathability. NEUSPEED Polos are a pique style with a roomy fit and added strength for optimal wearing comfort. Top stitched details and impeccable construction create a quality garment you will enjoy for years to come. Each polo is precision embroidered with a red and yellow NEUSPEED Racing logo.